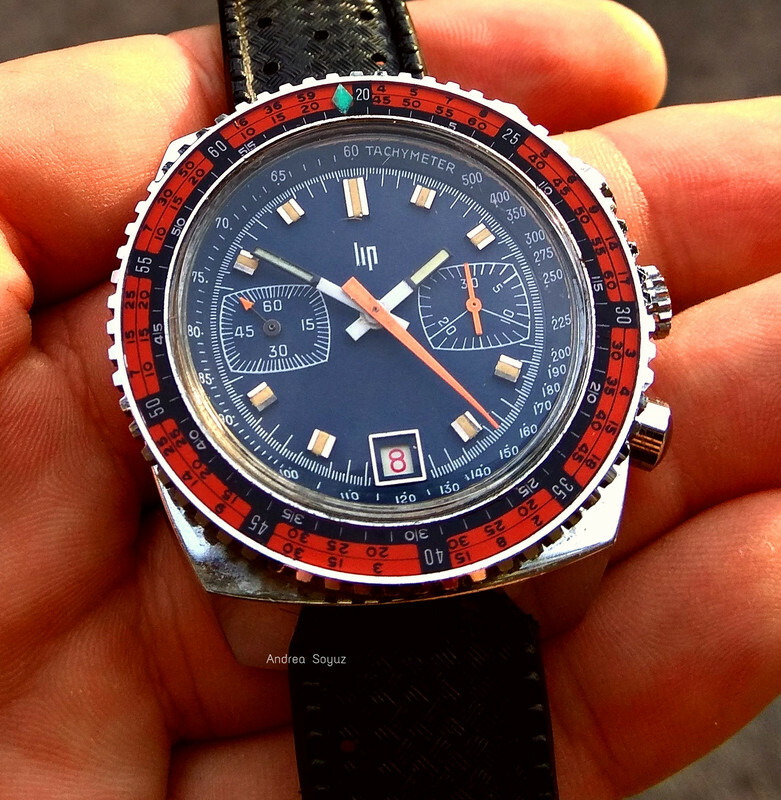 For sale From my private collection this stunning and EXTREMELY RARE 1970's LIP NAUTIC 20ATM Diver Chronograph. 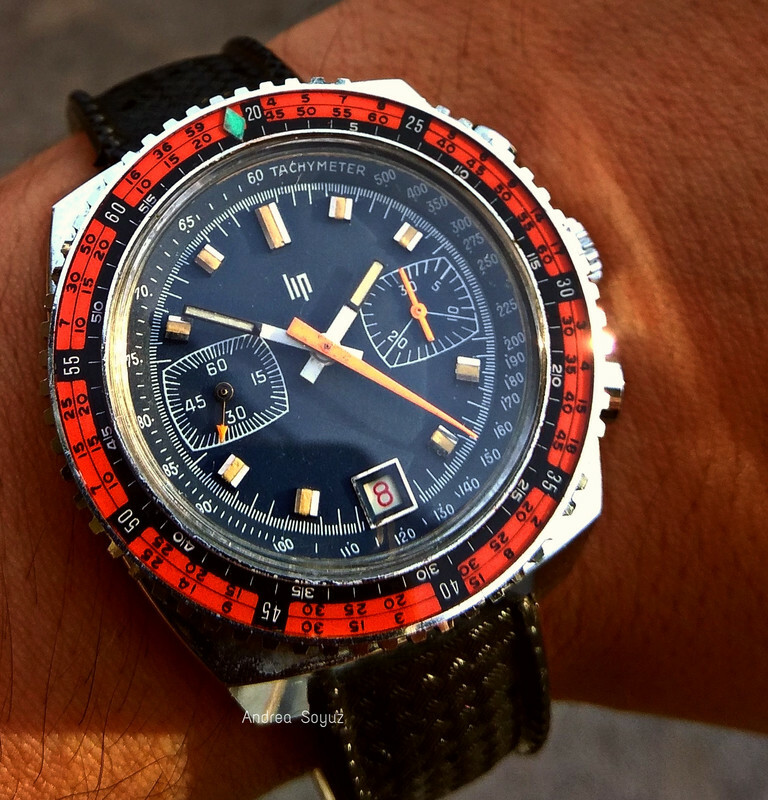 LIP NAUTIC Chronograph Ref. 42764 - Published on LIP book (Coustans-Galazzo, page 192) - ALL ABSOLUTELY ORIGINAL !!! Case: Large Oversize 42mm, screwdown stainless steel back. Bi-directional rotating bezel With immersion scales. Original and untouched blue dial. Movement: Hand winding Mechanical movement Caliber LIP R873 (VALJOUX 7734) SWISS MADE Working Perfect All features. Just tested by professional watchmaker. Conditions : Absolutely Perfect!!! NEW OLD STOCK. Check picures for All details. IT STILL HAVE ORIGINAL BOX, ORIGINAL PROTECTIVE PLASTIC ON CASEBACK AND ORIGINAL PAPER SACHET!!! 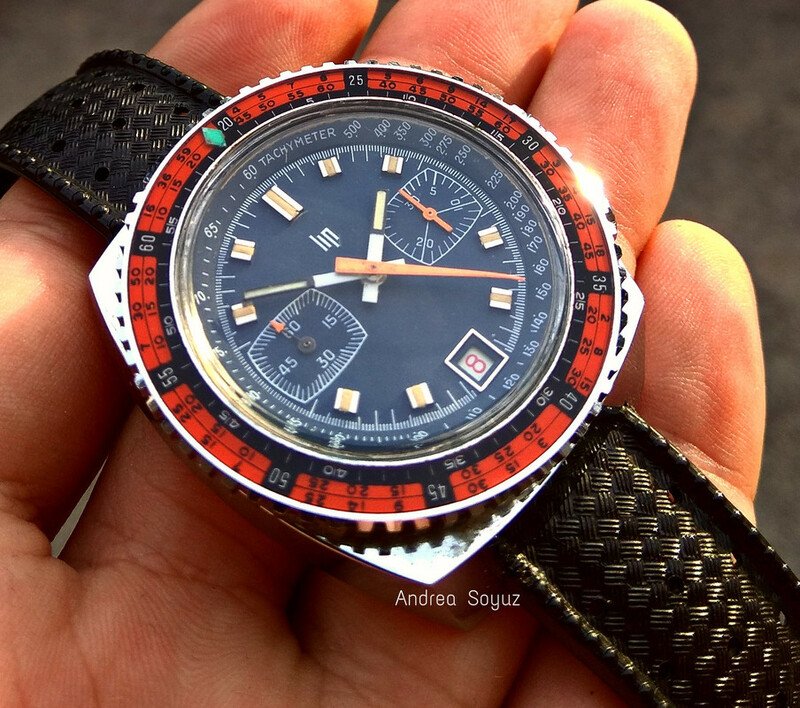 It Comes With ORIGINAL 1970s Tropic rubber strap + stainless steel Racing bracelet of period. Check pictures for All details. My references: more than 900 positive 100% eBay feedbacks. Shipping Worldwide with Tracking Number. For any question Please contact me before place bids. I can't considering any trades. For sale only.